Websites are often the first and most important point of contact with the public. 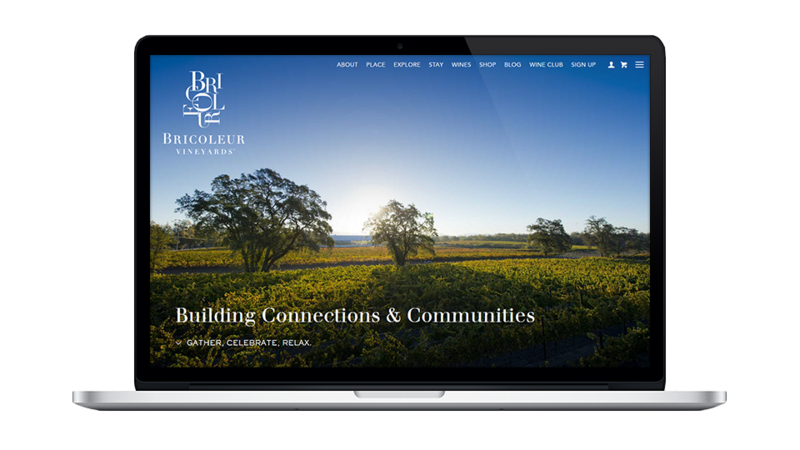 They set the brand tone, convey key information, and handle crucial business like eCommerce, wine clubs, and mailing list registrations. Our websites use responsive development techniques, so they work seamlessly across mobile, tablet, and desktop devices. 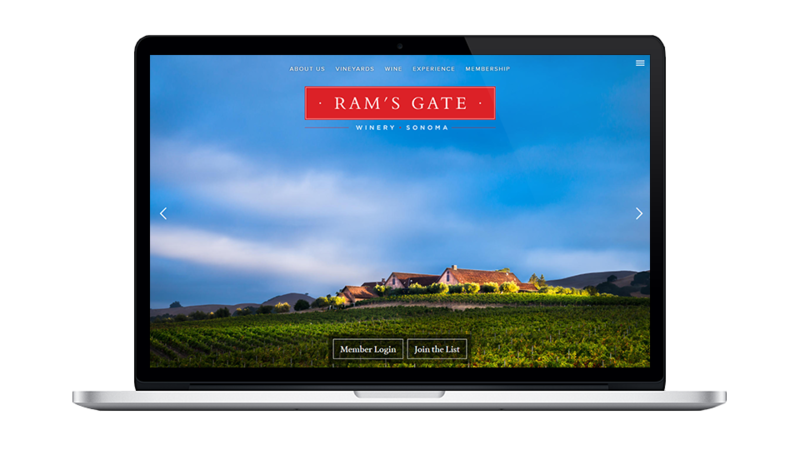 A successful website begins with polished visual and verbal content that is aligned with your business goals, brand strategy and messaging. We can provide copywriting of the highest quality to tell your unique story effectively and communicate with your audience. If needed we will also help connect you with photographers and videographers to further bring your site to life. Interactive design is an essential feature of modern websites. With the variety of devices used and the increasingly high expectations of today’s user, designs that allow meaningful communication with purposeful content is imperative. We ground all of our designs in this approach, ensuring that your visitors will be meaningfully engaged with your content on whatever device they use. 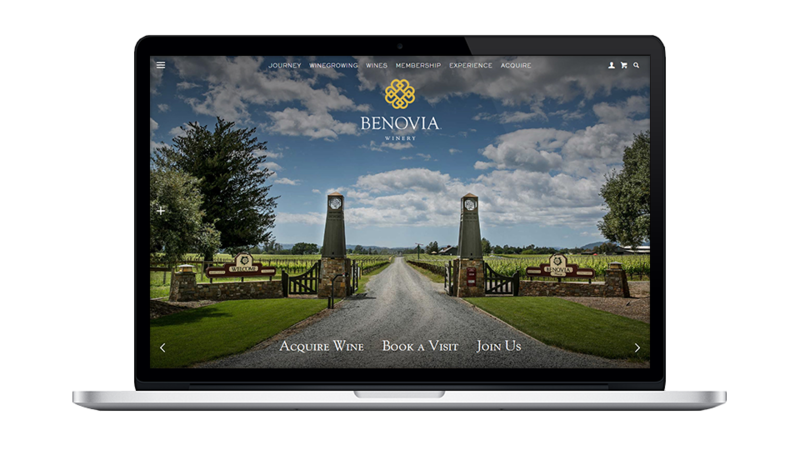 We handcraft our websites with great care and attention to detail. We’re experienced at making code sing to meet high aesthetic and usability standards, and to reflect unique and complex designs. Our sites incorporate the lessons we’ve learned over years of professional experience at the highest levels of quality expectation, and use industry accepted best practices in Web Standards programming languages and supporting website technologies. DTC through online eCommerce allows you to sell wine directly to your customers. 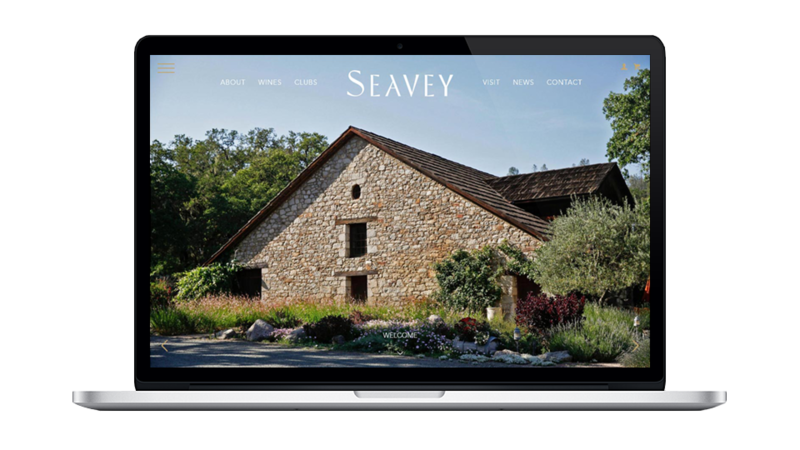 Our experience with winery eCommerce is among the most extensive to be found. We’ve worked with these platforms: VineSpring, Commerce7, AMS, bLoyal, eCellar, eWinery, VinSuite, and WooCommerce. Search Engine Optimization provides crucial findability, helping draw visitors and customers to you. We provide tools for implementing and monitoring website SEO. We build our websites around WordPress, so it’s easy to log in and edit text and images. You’ll receive a training session to learn the ropes and if you need updates in the future, we’re happy to help with content management and maintenance.